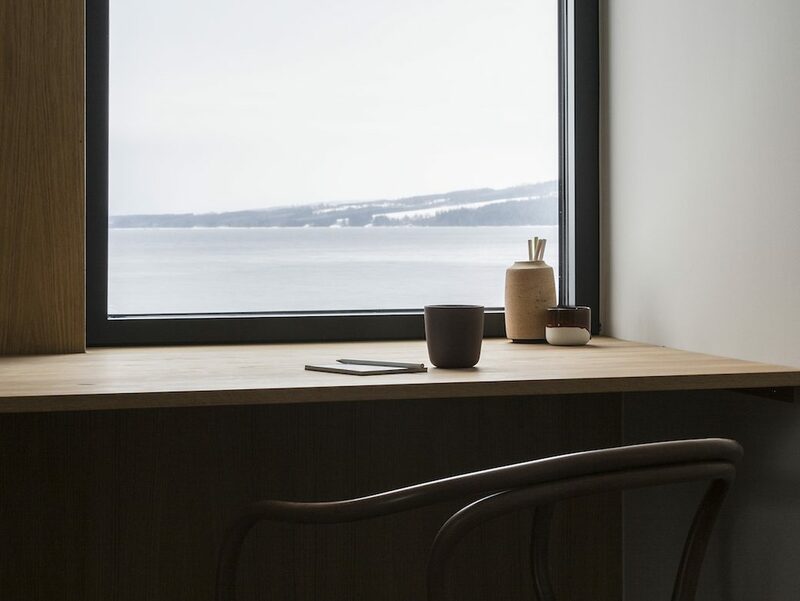 Located an hour’s drive north of Oslo, on a hillside with views over the Mjøsa lake, the latest project by the Danish practice offers a study in restrained design achieved through simple detailing and a beautiful use of materials. 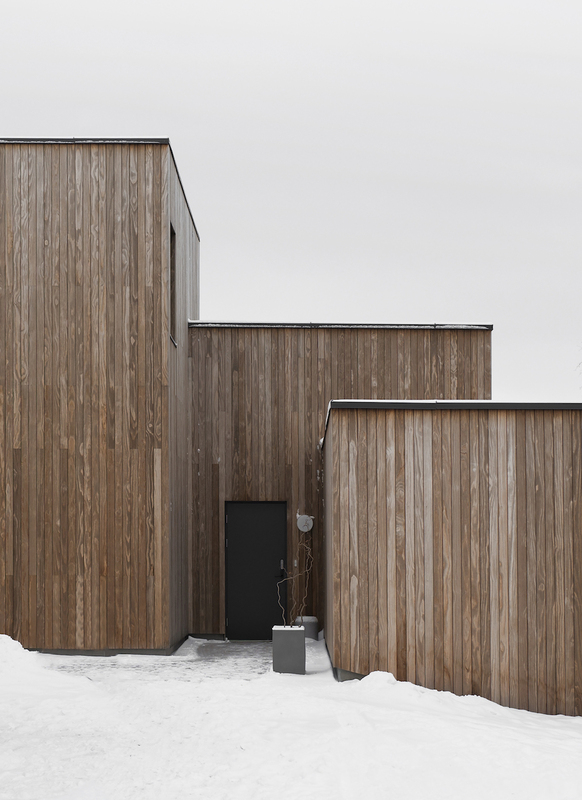 The Gjøvik House is a modern and minimal cluster house that’s been conceived to merge seamlessly with its natural environment. 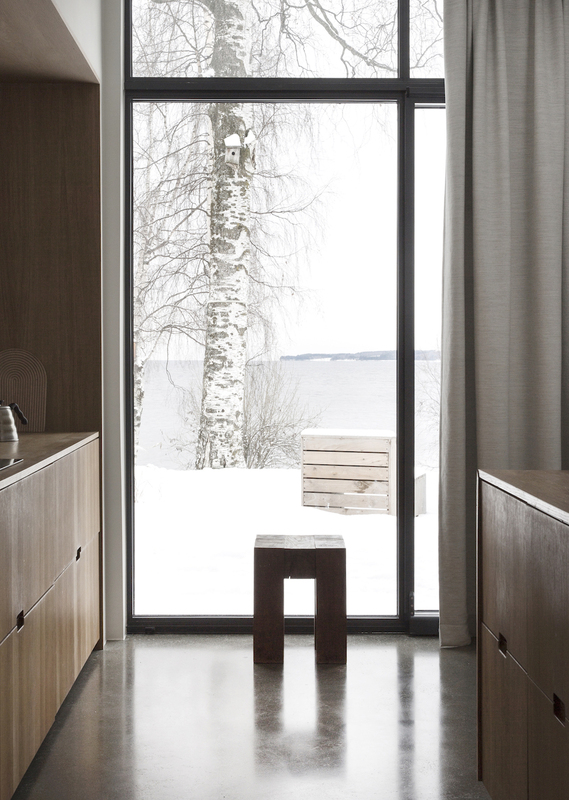 Consisting of six overlapping cubes of different sizes, the arrangement creates an interior filled with cosy nooks and crannies, and with a continuously surprising flow of space. 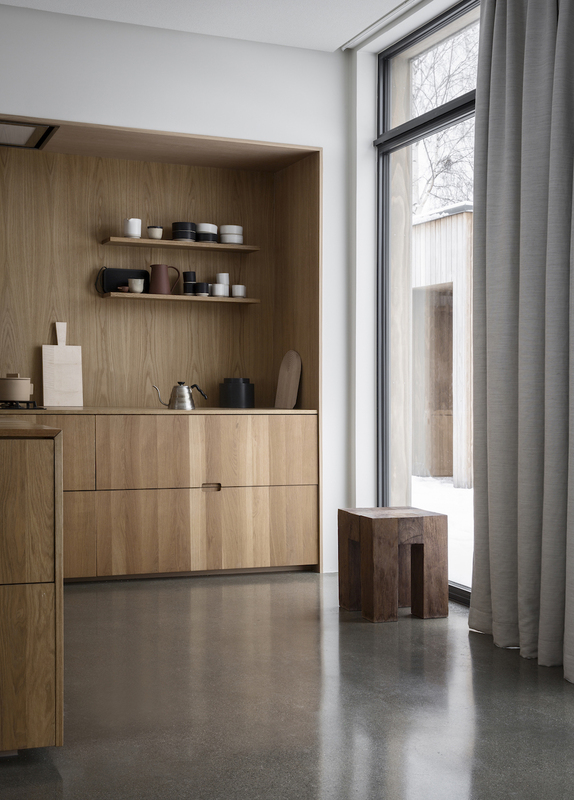 Moving through the house, the eye wanders from one room to the next, and the effect is of interconnected space, both internally and in the way the interior connects to the ever-shifting views, as the landscape itself infuses this living space with life. 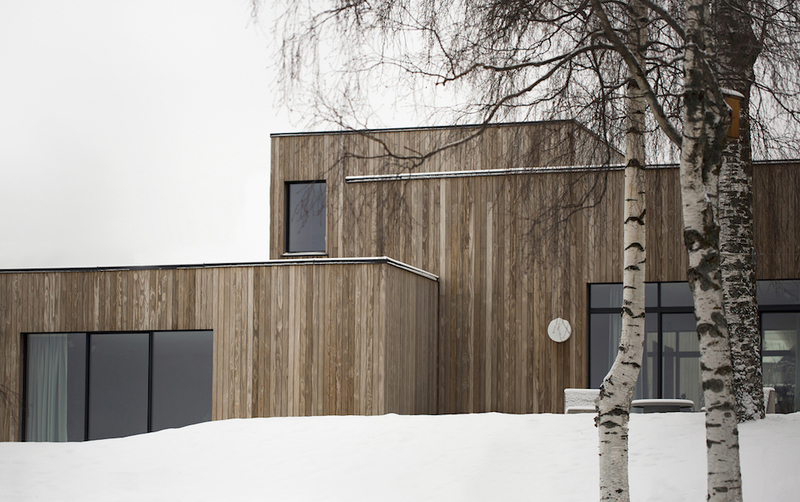 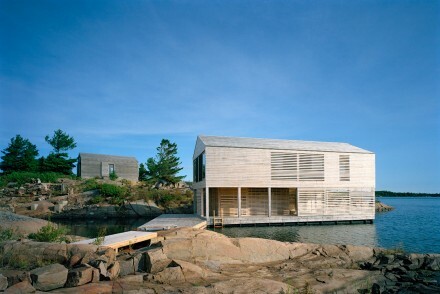 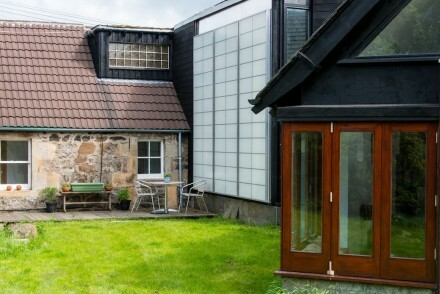 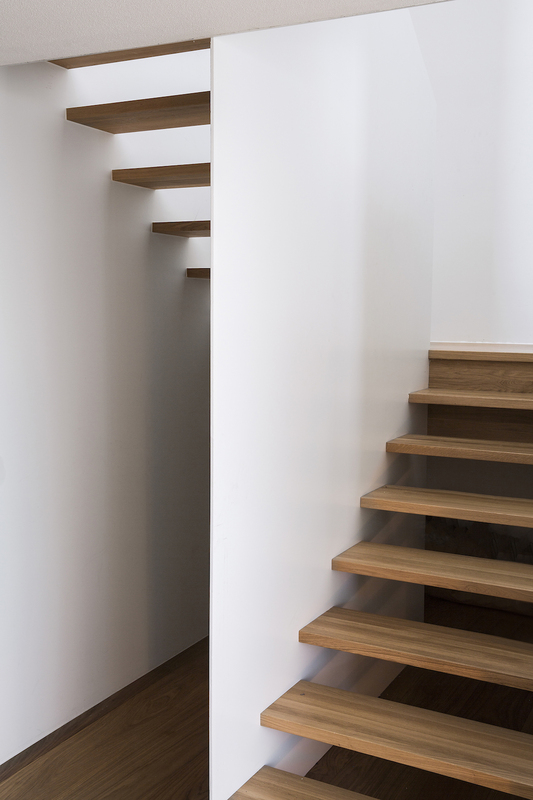 Having thoroughly considered the climate in the process of designing the house, the idea behind this approach was to create a home that would offer tactile warmth in the choice of materials and finishes – cosy minimalism, if you like; a place that would invite you in to take shelter from the coldest days of the Nordic winter. 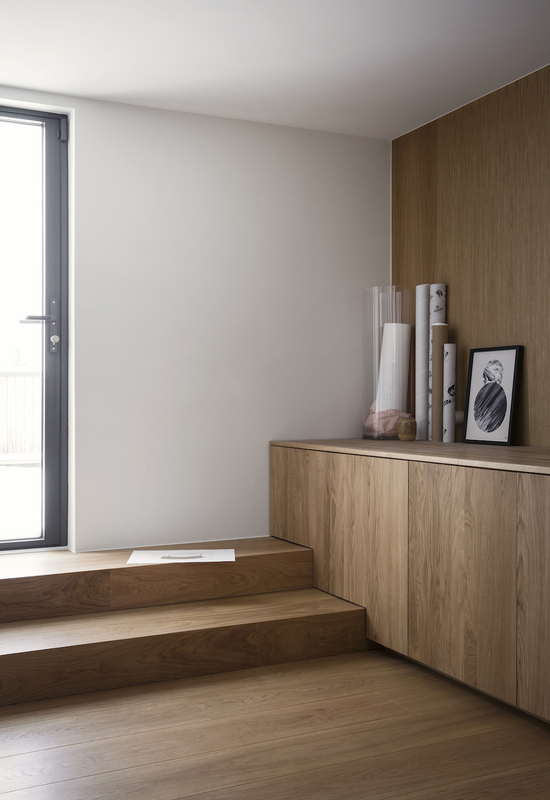 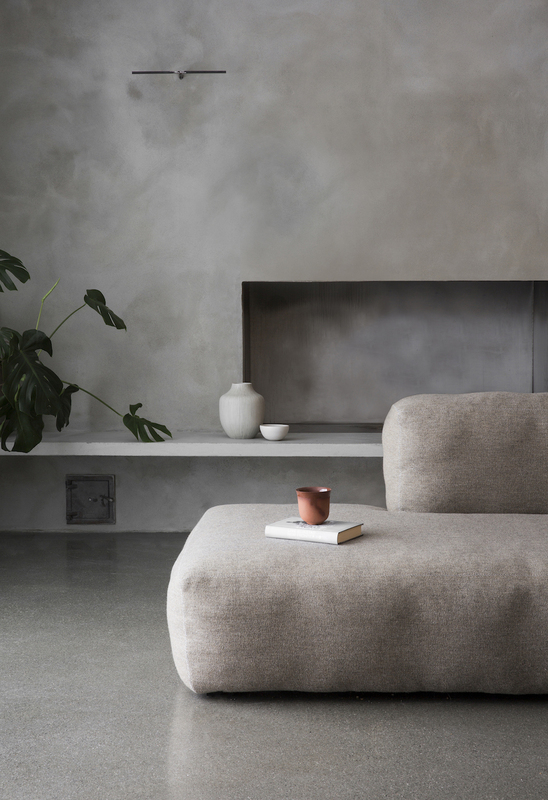 Floor becomes wall and wall becomes floor in a backdrop of concrete and wood, with subtle tones of mellow grey and timber finishes, and the majority of furniture is bespoke and built-in, which adds to the quiet character of this family home. 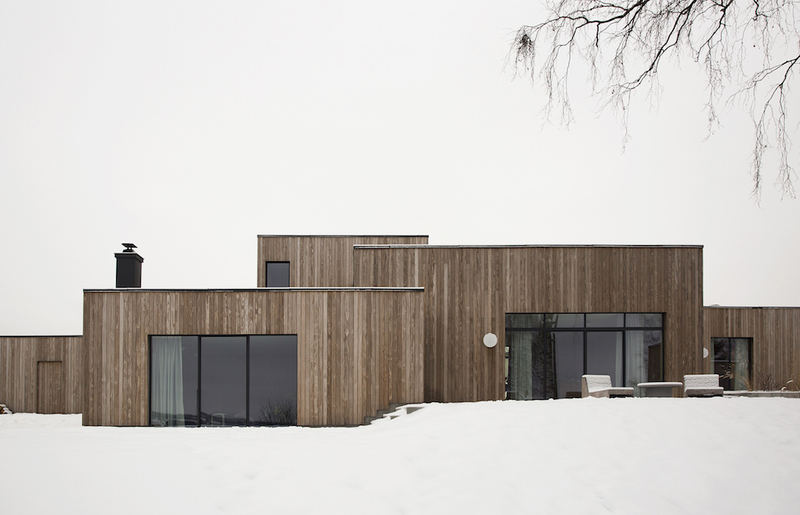 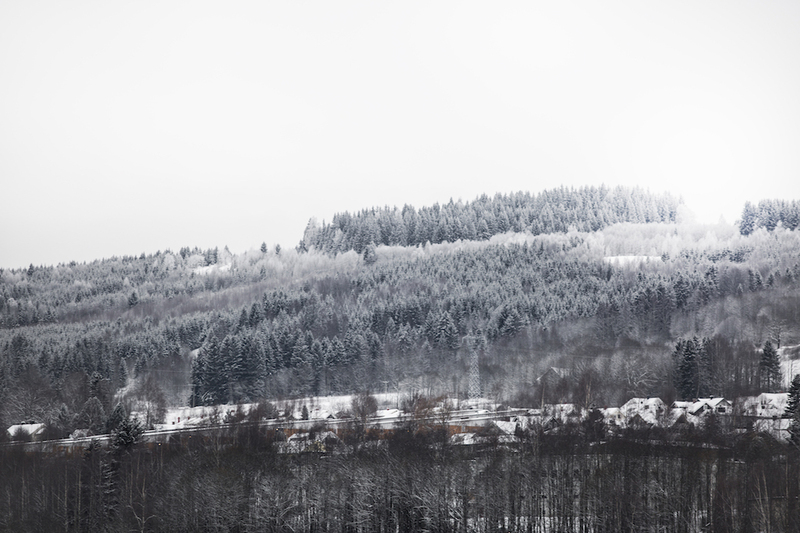 The house follows the slope in its composition and faces the spectacular view towards Mjøsa lake. 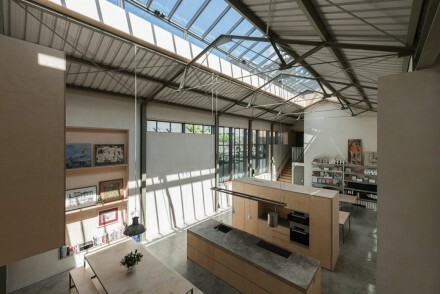 Selected views are framed in windows spread out between the cubes, while the kitchen, being the physical and social centre of this house, is bathed in light thanks to floor-to-ceiling windows on both sides. 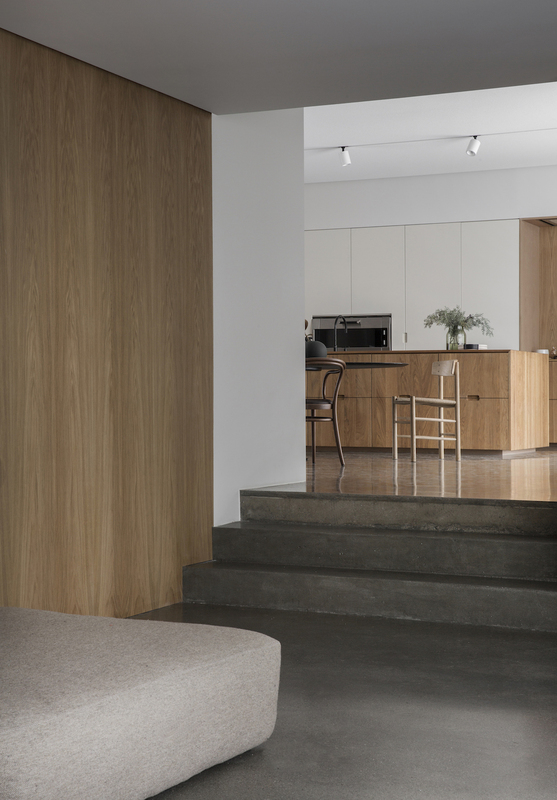 The narrow façade cladding of vertical timber planks will eventually fade to silvery tones with age and weathering, helping the house blend further with the landscape over time. 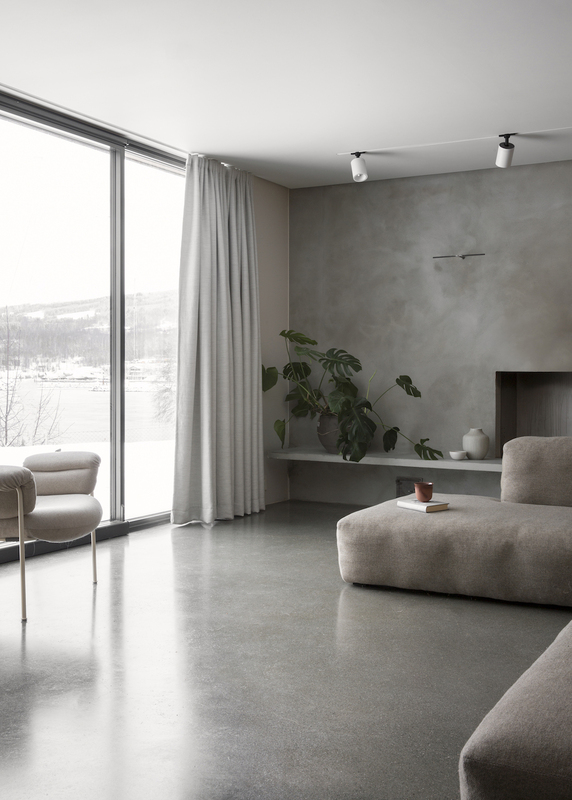 And this ethos is summed up in the Gjøvik House, a home that may be dramatic in its setting but which offers a quiet sanctuary for the mind and an escape from the elements once inside. 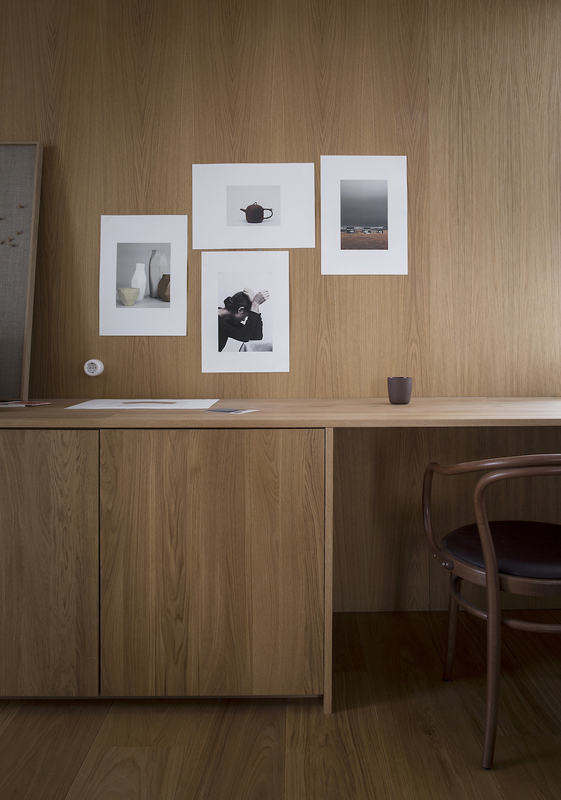 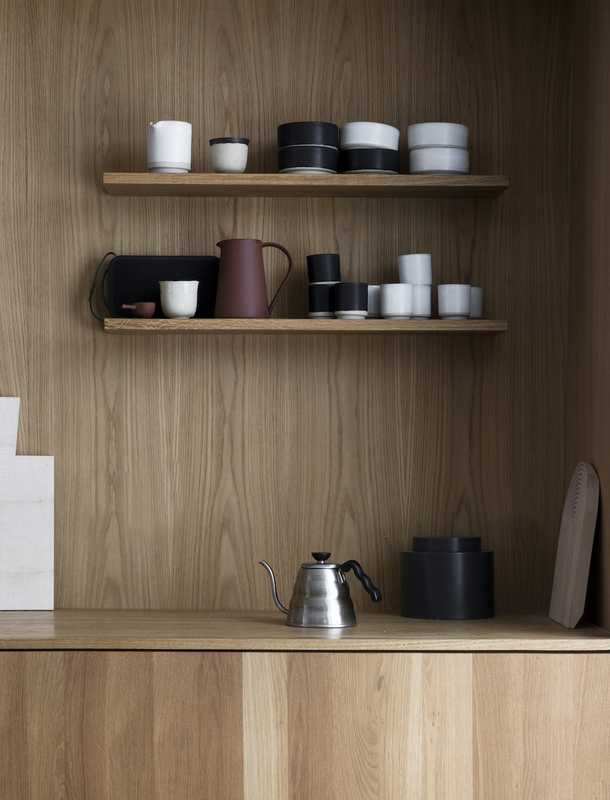 All photography via Norm Architects. 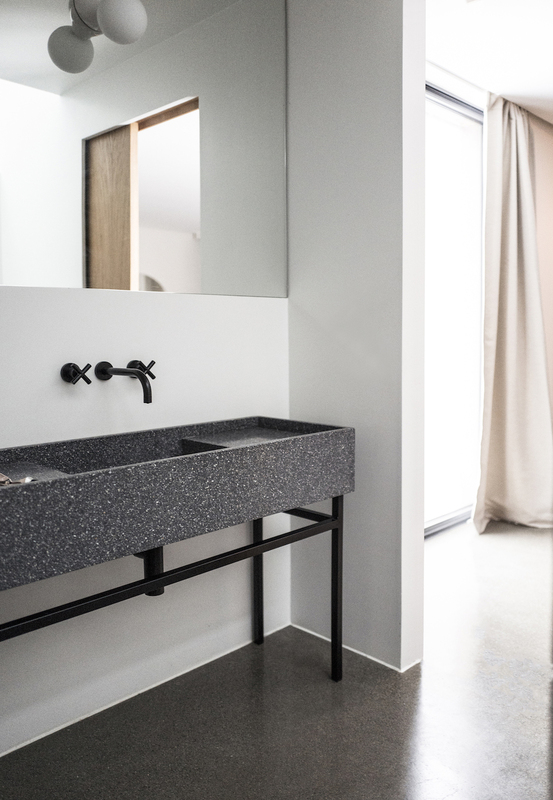 See more from Norm Architects here.